Rooftop Grease Containment In Houston, TX. Call us today (713) 352-7999. Restaurant owners know or have an idea of the significance of planned rooftop maintenance. They know this is the key to getting the most out of their rooftops. All rooftops need servicing to ensure they not only last longer, but they will always look just as good as their first day. 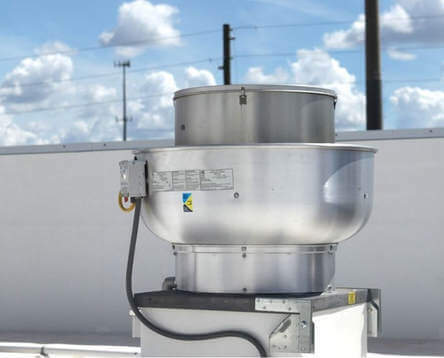 This rule only applies to normal rooftops though, for restaurants it's a whole new ball game, the grease emitted from the exhaust system fans introduce a new level of complexity to the process of roof maintenance. Filth accumulation will mess up your user warranty as many manufacturers don't cover any damages caused by grease buildup. Therefore, they ask that a protective coat is installed near fans to prevent any damages. 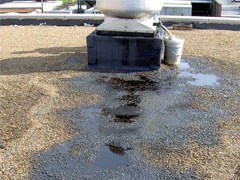 Houston TX Hood Cleaners will set up a rooftop grease containment system (catch pans, grease containment units etc.) to soak up all the grease and oils while it's forming. 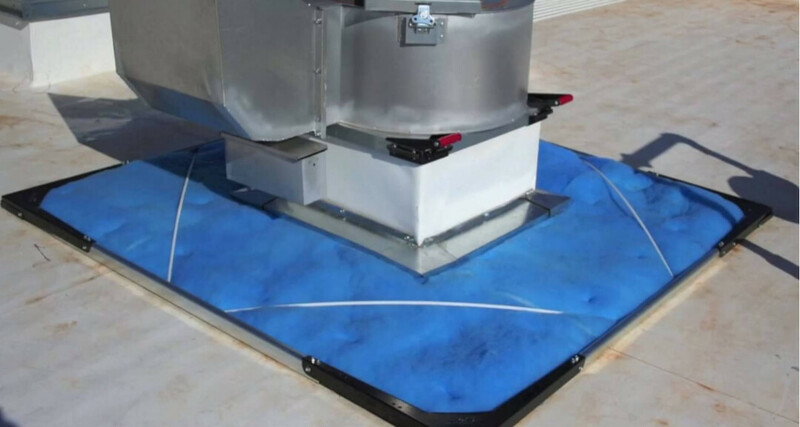 One benefit of installing a rooftop grease containment system well is it will stop hydrophobic pads from being created which will shed all the water and stick with the grease. Having a grease box set up will allow the system to catch the grease excluding the pads so that all the rainwater spills onto the roof together with the grease. This containment procedure will save you so much money in terms of repair costs at the end of the day because the rain will be diverted away from your roof, away from doing any damages. These procedure works quite well especially if you have a kitchen that is always working at high capacity, especially if your cooking a lot of fried food. However, if you only run a juice bar you won’t need a high-capacity grease gutter as a catch pan would work perfectly. Our team is highly trained, certified, insured and most importantly committed to ensuring your rooftop gets the best servicing possible. Our team will go the extra mile to make sure you're satisfied with all our services. All it takes is a moment to read all our 5-star customer reviews. Whether you're interested in a one-time rooftop grease containment cleaning or an ongoing project, don't hesitate to hit us up, we're sure we can find the perfect arrangement that will suit all your needs. So, do feel free to give us a call on this number - (713) 352-7999 or use the contact form to get yourself a free quote and consultation. Houston TX Hood Cleaning proudly serves restaurants in the greater Houston area.